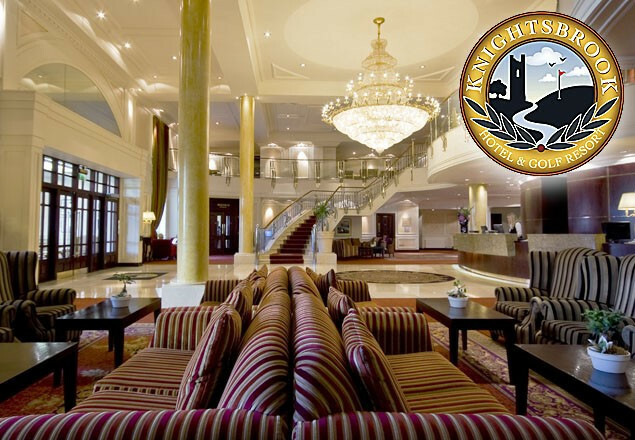 With this week's Exclusive with RewardingTmes, enjoy a luxurious one night midweek package at the 4* Knightsbrook Hotel, Spa and Golf Resort in the heritage town of Trim, Co Meath. This Rewarding Times offer includes a one night stay in a deluxe room, breakfast, three course set dinner menu in the Rococo Restaurant, 20% discount off all published pricing on spa brochure (not on special offers), use of Heat Treatment Rooms or a round of golf per person. 20% Off Spa treatments with a minimum spend of €60 per person per treatment. This offer is not valid in conjunction with any in house Spa “Special Offers”. 20% off at the Knightsbrook Golf Shop excluding all sale items Golf, Thermal Spa and other Spa Treatments must be made in advance. Please email golf@knightsbrook.com for the Golf or theriverspa@knightsbrook.com for Spa Treatments. River Spa Thermal Journey includes: Tropical showers, salt grotto, essence steam rooms, herbal sauna excluding mud rasul.